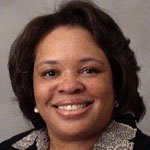 Wanda W. Jackson is an Insight and Innovation Leader with over 30 years experience in new product, service and business development for consumer and B2B organizations. She currently consults in the areas of consumer insights, creativity, and new products working to inspire teams and help stretch their thinking for breakthrough ideas and new innovations. Wanda graduated Howard University in Washington, DC where her dual majors in Chemistry and Psychology foreshadowed what would become her passion – uncovering insights into consumer attitudes and needs and translating those into action. Wanda discovered her talent for uncovering consumer insights while working at Celanese Fibers Corporation on new apparel fibers and fabric finishes. Subsequently she developed new materials, personal and household care products, professional healthcare products and a wide range of new business opportunities for Johnson & Johnson and Kimberly-Clark Corporation. Wanda specializes in the front end of innovation, designing research to identify compelling consumer and customer insights and employing a variety of techniques to generate new ideas and concepts, resonant product positioning and consumer communication. She makes unique, unexpected connections and generates new perspectives which have led to many proprietary concepts and successful product ideas. Wanda holds 14 US and 4 international patents. Wanda is a certified facilitator and trainer for a variety of creativity and innovation processes, an experienced concept writer and focus group moderator.